One of the features I enjoyed the most at my old site was our guest commentary series, so I’m very excited to continue that feature here at Substack. In fact, today we’re really continuing a series within a series, with the third entry in Zack Kramer’s look at the Central Asian republics. 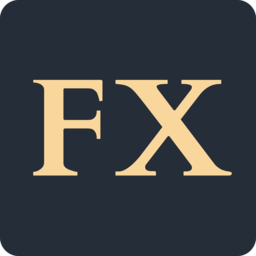 I’ve brought all of those old guest posts over to Foreign Exchanges, so you can find them on our archive page, and you can find Zack’s previous essays on Kazakhstan and Kyrgyzstan among them. In a break from this series’ focus on the political economy of Central Asia, this essay looks more closely at Tajikistan’s internal political tensions, and at the implications of recent developments in neighboring Afghanistan for the Tajik security situation. Unlike Central Asia’s Kazakhs, Kyrgyz, Turkmen and Uzbeks, all of whom are Turkic peoples, the Tajiks are a Persian ethnonational group. Tajik Persian is closely related to Dari, the Persian dialect spoken in Afghanistan, and is for the most part mutually intelligible with the Persian spoken in Iran. Most Tajiks are Sunni, though the small Pamiri minority in the country’s eastern highlands adheres to the Ismaili branch of Shia Islam. The national ethnonym Tajik is held to stem from a Middle Persian root meaning “Arab”, apparently a reference to the Arabs and recently-converted Persians that pushed Turkic tribes out of modern-day Tajikistan during the 8th century expansion of the caliphate. Tajikistan was part of an early Islamic Persian state called the Samanid Empire, which ruled much of Central Asia in the 9th and 10th centuries. After its collapse the Tajiks were separated from the Persian heartland in modern-day Iran by Turkic reconquests of modern Turkmenistan and Uzbekistan. One thousand years later, the former Samanid capitals Samarkand and Bukhara are still home to large Tajik-speaking populations despite having become part of Uzbek territory centuries ago, though Tajik identity there has been suppressed. Today there are somewhat more Tajiks living in Afghanistan (~10 million) than there are in Tajikistan (~7 million). They are distributed throughout the north and west of Afghanistan and in most of its major cities, making them the country’s second largest ethnic group after the Pashtun. Today the largest ethnic minority in Tajikistan is its Uzbek community, which makes up about 14% of its population and mostly live in the Tajikistani part of the Fergana Valley to the north of the country’s capital, Dushanbe. Tajikistan’s ethnic Russians are concentrated in Dushanbe, but most returned to Russia after the breakup of the USSR and their numbers have fallen to less than 1% of the country’s national population, the smallest such share of any Central Asian country. Tajikistan’s key geographical division is between its relatively densely-populated western regions and the high mountains of the Gorno-Badakshan Autonomous Region in the east, which makes up nearly half of Tajikistan’s territory but is home to just 3% of its population, comprised mostly of Pamiris. The Pamiris are considered ethnic Tajiks by the government but have had a distinct cultural, linguistic and religious identity for centuries, one that contributed to a regional separatist movement soon after the the country gained its independence. The Tajikistani Civil War began just six months after the breakup of the USSR in May 1992. It grew out of a series of street protests contesting the results of the country’s first presidential elections, which had brought the erstwhile head of the Communist Party of Tajikistan, Rahmon Nabiyev, back to power. The apparent wholesale preservation of the Soviet-era political structure was opposed by various political movements throughout the country, and when the war began there was limited cooperation among these diverse anti-government forces. A year into the war they officially formed the United Tajik Opposition, a coalition of democratic reformists, the newly-formed Islamic Renaissance Party and other Islamist groups, and regional separatists from the Gorno-Badakshan and Gharm regions, with partial overlap between these groups. As fighting intensified, Nabiyev was forced out of office in a military coup less than a year into his first term. After a transitional period, the Tajik parliament nominated another Soviet-era official, Emomali Rahmon, to become head of state in late 1992. Troops from Russia and Uzbekistan were brought into the conflict on the side of the pro-government militias, and Tajik Islamist groups received some supported from Taliban militants in neighboring Afghanistan, leading to a protracted international conflict. After regaining control over the bulk of the country, government militias engaged in ethnic cleansing campaigns against the Pamiri and other populations associated with the opposition. The war lasted until 1997, when the United Nations brokered a peace agreement that guaranteed partial autonomy for the Pamir-majority Gorno-Badakshan Region and other reforms intended to decentralize power. The civil war is estimated to have killed between 30,000 and 60,000 people and displaced over a million. Clashes between government forces and Islamists in Gorno-Badakshan and elsewhere have continued since the end of the war, with incidents between 2010-2012 and in 2015 leading to approximately 250 additional deaths. While the last few years have been relatively peaceful, the legacy of the civil war continues to define Tajik politics and cultural life, and the government makes a point of reminding the public of its horrors often. President Rahmon has remained in power since 1992, having abolished all limits to his term. His eldest son Rustam appears his likely successor, having recently been made mayor of Dushanbe. In 2015, the Islamic Renaissance Party was officially designated a terrorist organization by the government and banned from participating in politics, effectively removing the last significant opposition from parliament. Rahmon has pursued strict secularism through authoritarian measures, with Islamic religious practice tightly controlled by the government and other “alien” religions actively repressed throughout the country. A limited number of mosques are permitted to operate, mostly in major urban areas, and women have been barred from wearing hijabs in public. The government is also engaged in widespread, arbitrary monitoring of private phone and internet activity and frequently limits national internet access. It has set limits on the number of people allowed at public and private gatherings, and critics of the government are regularly harassed or imprisoned. Overall, Tajikistan is considered one of the least free countries in the world. Tensions also persist among ethnic Pamirs in Gorno-Badakshan, where the national government maintains a strong security presence despite the region’s autonomous status. The Tajik government is concerned about another potential separatist uprising, but is also wary of devolving too much authority to the regional government given the region’s long, mountainous, and sparsely inhabited border with neighboring Afghanistan. The border is a security concern not only because of fears of militant Islamists entering Tajikistan, but also because of the large-scale opium trafficking activity in Afghanistan, much of which has relied on smuggling routes through the remote mountains of Gorno-Badakshan to enter Russia and Europe. Tajikistan is the least developed country in Central Asia, and also in the whole of the former Soviet Union. Like neighboring Kyrgyzstan, it runs large trade and budget deficits and has a great deal of debt for a country at its level of development, most of which is owed to China. Tajikistan receives roughly a third of its GDP via remittances from the roughly one million Tajik nationals living abroad, nearly all of whom work in Russia. It is a member of the Collective Security Treaty Organization (CSTO), a Russian-dominated military alliance, and may be moving towards joining the Eurasian Union, a regional economic integration project promoted by Russia. Russia also remains an important export market for Tajik cotton, a historically significant sector which continues to make up the largest share of Tajikistan’s agricultural exports. Kazakhstan is the country’s overall largest export partner, those exports being comprised almost exclusively of raw lead, zinc, and copper ores. Kazakhstan is also Tajikistan’s main supplier of food and natural gas. Tajikistan’s single largest industrial asset is the Tajikistan Aluminum Company smelting plant near Dushanbe. The raw aluminum from the plant produces roughly a fifth of the country’s total exports, mostly directed to Turkey and Italy. The plant claims to provide over 10,000 jobs, but it’s believed the company’s profits are exclusively controlled by President Rahmon and his family. Like Kyrgyzstan, Tajikistan relies on China for the majority of its imports, including a wide variety of consumer goods like apparel, machinery, appliances, and car parts. Much of this import mix seems to be geared towards re-export markets in Russia and Kazakhstan, although most of that trade has eluded official record-keeping. Tajikistan features significantly in China’s Belt and Road Initiative (BRI), with its main overland component set to pass through Dushanbe. But the country’s dysfunctional business environment and political situation have led to complaints by Chinese business people already involved there, who have noted that it is difficult to get anything done without direct a link to President Rahmon. Still, with the core of the BRI yet to be rolled out, China is already by far Tajikistan’s largest foreign investor, though overall levels of foreign investment remain low even by regional standards. Although Tajikistan continues to rely on Russia and China for a large share of its economic activity, the Rahmon regime is perhaps more dependent on those countries for security. Rahmon’s government doesn’t appear to be interested in significant structural reform of the national economy, but it does clearly fear Islamist movements at home and abroad as well as other direct threats to the regime’s survival. The government hosts a large Russian military presence on its territory, and has continued to encourage a Russian role in controlling Tajikistan’s borders. As a CSTO member, Russia is obligated to defend Tajikistan if it is attacked by a third country. Its obligation to help defend Tajikistan may help explain why Russia has recently gotten involved in the peace process in neighboring Afghanistan. There have also been reports of a new Chinese military base in Tajikistan’s Gorno-Badakshan region, near the Tajik-Afghan border. The Chinese government has denied these reports, though it appears poised to prevent a breakdown in border security should the need arise. The exact numbers and activities of troops stationed at the alleged facility are unclear, though anecdotal reportage suggests they may only number around 300-400 and that they are mostly involved in policing the Afghan border. The United States has also had significant involvement with the Tajik military through counterterrorism and counternarcotics training programs, as well as transfers of military aid. 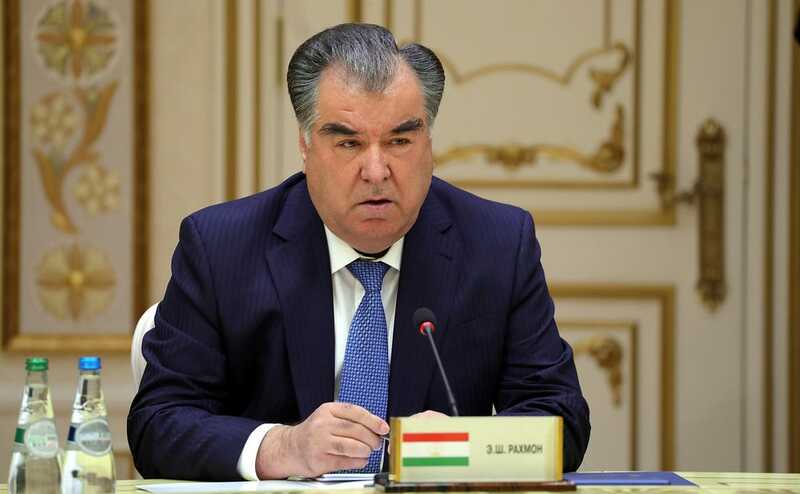 With the state’s limited funds largely allocated toward maintaining a domestic security force intended to police the Tajik population, Rahmon’s government appears to have little choice but to court foreign assistance in maintaining its borders, particularly with respect to Afghanistan. It is unclear how Pamiri separatists feel about a new foreign military presence in Gorno-Badakshan, but it certainly could be seen as a challenge to the region’s autonomy. The Tajiks have a complicated relationship with Afghanistan. The Taliban, which controlled Afghanistan between 1996 and 2001, was once a largely Pashtun-dominated group. The Northern Alliance, a group of militias that resisted the Taliban from its rise until the US invasion, was predominantly composed of ethnic minority groups, including Hazaras, Kyrgyz, and especially Tajiks. Moreover, the Alliance’s territorial base was situated along the Tajik border. However, today this anti-Taliban coalition of minorities seems to have begun to disintegrate. It has been reported that Tajiks and other minorities have started joining the Taliban in large numbers, and the roughly 60% of Afghan territory that is now either “contested” or fully under Taliban control is not at all limited to ethnic Pashtun areas. While the US and NATO’s future roles in Afghanistan are still somewhat uncertain, the looming prospect of an empowered, multi-ethnic Taliban and the withdrawal of western military support for the flagging Afghan government is clearly a concern for the legitimacy of the secular Rahmon regime and for the security of Tajikistan as a whole. The combined presence of domestic, Russian, and Chinese forces will likely dissuade the Taliban from making any significant moves to threaten Tajikistan. But the Taliban’s return to official prominence in Afghanistan, and the fear that its Islamist ideology might spread to other countries in the region, could spur the Rahmon government to crack down even harder than it already has on the overt practice of Islam. Will Chinese investment pull Tajikistan out of its development slump? Or will the return of the Taliban in Afghanistan and a secular crackdown at home lead to renewed civil conflict? Tajikistan is an example of how the least developed countries often have the most to lose from a change to the status quo. Its severely corrupt and autocratic government is a barrier to Chinese and other foreign investors in the country, and more broadly to the development of its domestic economy and civil society. The prospects of state failure and civil war are more pronounced in Tajikistan than anywhere else in the region, and there is no precedent to guide a new government, making it totally unclear what sort of regime might replace the Rahmon government should it lose power. The current Tajik government’s greatest asset may be that China and Russia fear a breakdown in security on the Afghan border, and thus have a clear interest in ensuring stability in Tajikistan. But as the ongoing failure of US forces to effectively stabilize Afghanistan has shown, even a powerful military can struggle to prop up an unpopular government against an insurgency. Chinese pressure may one day be enough to convince President Rahmon or a successor to adopt a friendlier approach to business, especially if Tajikistan continues to sink into a structural debt trap. But if the country should again destabilize, China may be unlikely to commit more troops to Tajikistan than what it perceives to be in its own national interest. Even its Belt and Road plans might simply be altered to go around Tajikistan rather than through it, the way they currently do with Afghanistan. As a CSTO member, Russia has more concrete obligations to assist Tajikistan, but in the 1990s even a large Russian military presence was not enough to prevent a protracted civil war. If Rahmon is to remain in power, he has left himself with few alternatives to the absolute repression of opposition and Islamist groups while trying to keep as many Russian and Chinese soldiers in the country as possible. This could prove to be an explosive mix.